The way we use words and the words we use can passively or actively affect people, and more so, they are a mirror into the way we think. In time, the language we use can shape thinking so we need to be careful about the words we use especially as parents. Using positive adoption language is, simply put, using respectful language when addressing members of the adoption circle. 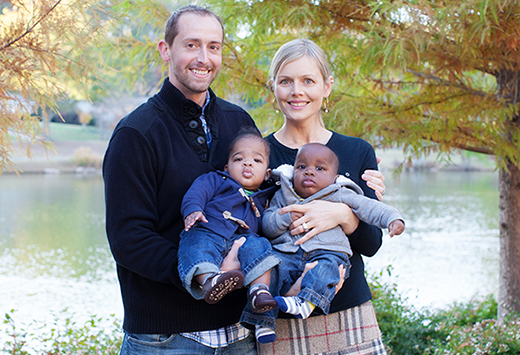 The main premise of positive adoption language is that adoption is a completely valid way of having a family. So here are some answers to the most common questions about positive adoption language. Positive Adoption Language - what is it? Why is Positive Adoption Language so Important? The fact that a person is adopted should be mentioned only if it is essential to the story. If it is mentioned, the relevance should be clear in the context of the story. This doesn't mean that adoption is something you don't want to talk about, it is just a reminder of how it is one of many events in your life and it shouldn't be considered as anything bigger or of greater importance. How Should Positive Adoption Language be Used? What is important to take out from all this is that in most cases the parents of a child, adopted or not, are parents because they want a child. They are not different than any other parents and should be treated equally. The way we talk and the words we use can in their cases be insensitive and imply inequality. And that is why positive adoption language is so important. By using it, we pass good values onto others and promote adoption as a beautiful way of having a family.